Umbria, green heart of Italy. Farm inside a real working farm of about 50 hectares in size. It is cultivated vines, olives and cereals. The farm offers relaxation, tranquility and greenery. The apartment is located on the ground floor and consists of a room with kitchen, living room and sofa bed, a room bathroom with shower, from one room bedroom with double bed and a single bed with desk and wardrobe. There is free pool of 12 meters x 6:02 sunbeds with umbrella. For all guests there are 4 bicycles for walks in the area. The farm can be used as a base for visits to art cities, religious and tourist that few kilometers away. Upon request you can have breakfast. They sell wine, oil, lentils and truffles. Prima colazione compresa. 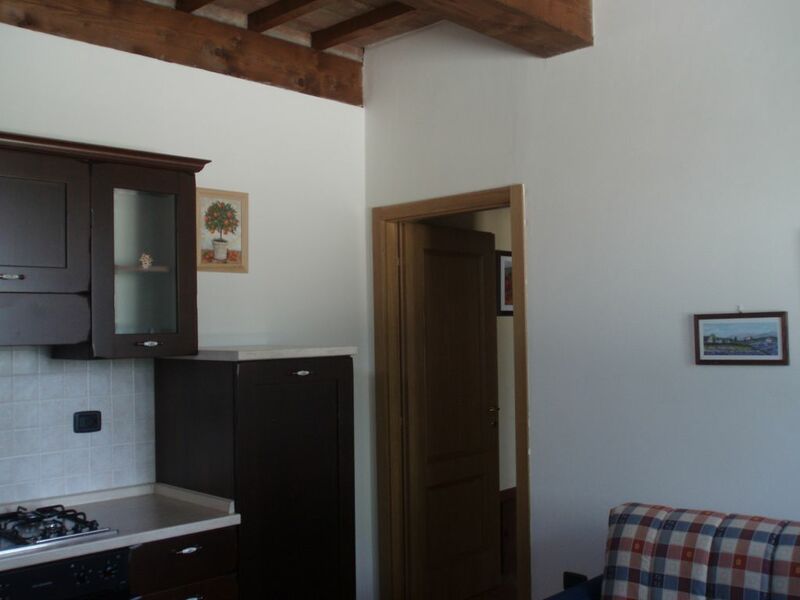 L'agriturismo accetta prenotazioni dall'Aprile a Settembre compreso. Negli altri periodi è chiuso. Il soggiorno minimo è di tre giorni.